Argentina is set to commercialize the first drought and salt tolerant soybean in 2019. This is an important step towards combating the increased risk of drought globally because of global warming. The gene responsible for the new technology is HB4, which is applicable not just in soybeans but also in wheat. The drought resistant soybean seeds were developed by splicing a drought resistant sunflower gene into a soybean seed. 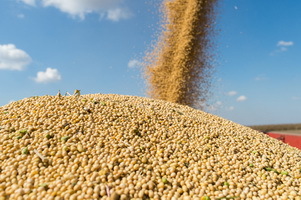 The drought tolerant soybeans were tested in the field for three years and results showed that they are as nutritious as conventional soybeans, will not be toxic to animals or humans, and have no negative effect on the environment. The seeds were developed by Rachel Chan, a scientist from the National Scientific and Technical Research Council and professor at the National University of Litoral. The seed is owned by Bioceres. Read more from the Genetic Literacy Project and DVI Report.